Vendors struggle to balance new technologies and markets, and almost perpetual updates, against limited resources. Testing wireless communications is getting far more difficult as more markets begin adding wireless communications and standards groups push to improve the speed, power and security of existing protocols. There is already a long list of protocols, and it’s growing further as new communications technologies are added into the mix. With the addition of 5G, the new 802.11ax standard, and other short-range communications updates, just keeping track of all the standards is a chore. But for test and measurement companies, which already offer a comprehensive portfolio of instruments and software for testing the protocols used in autonomous vehicles, cellular communications, the Internet of Things, and other application areas, it also is putting pressure on them to limit their focus. Anritsu, Astronics Test Systems, Keysight Technologies, LitePoint (a Teradyne company), National Instruments, Rohde & Schwarz, and Tektronix are among the top vendors vying for a piece of the ever-expanding wireless testing market. NI last month introduced the WLAN Test Toolkit 17.0 with support for Draft 1.1 of the IEEE 802.11ax standard, which promises to provide stronger Wi-Fi signals, especially for users in crowded public environments such as airports. 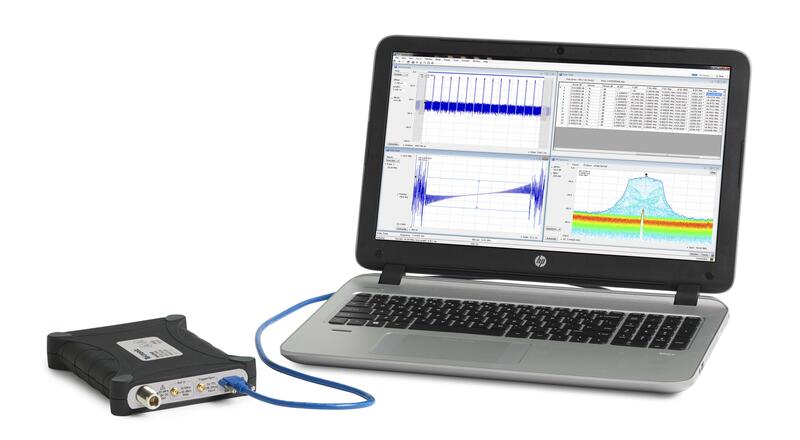 The WLAN Test Toolkit 17.0 is paired with NI’s second-generation Vector Signal Transceiver for 802.11ax waveform generation and analysis for characterization, validation, and production test of radio-frequency front-end components, wireless modules, and user devices, according to the company. National Instruments has developed a guide to 802.11ax technology. Then there are the low-power IoT protocols, such as the IEEE 802.15.4 physical layer, powering ZigBee, LoWPAN, and others. Cellular connectivity is pushing forward into 4.5G LTE in addition to 5G. “Industry and academia see the 5G standard moving along three vectors,” Buritica said. There is the effort to boost data transmissions to 1 gigabit per second or faster, he noted. There is work on ultra-reliable, low-latency connections, which would be incorporated in V2X technology. And then there is enhanced machine-to-machine communication, for the IoT and other applications, providing “bursty signals” for use in smart metering and other applications. NI has been working with commercial and academic partners on development of massive multiple-input, multiple-output (MIMO) technology for beam steering and beam forming. The company is employing software-defined radio and millimeter-wave technology for greater bandwidth. Meanwhile, for 5G, the company is allowing for flexibility for the international standard as it is developed in the next few years. “We do a lot of work on our software platform, not just firmware,” Buritica noted. And for advanced advanced automotive electronics, NI is testing radar sensors, with real-time processing on the instrument. “We can test cameras and more in our platform,” he said. NI isn’t alone in developing test solutions for individual markets. Astronics Test Systems is employing system-level test and massively parallel testing for RF devices. Tektronix is another player in this arena. The company is a subsidiary of Fortive, a spinoff from Danaher Corp., which bought Tek in 2007 for $2.85 billion. Danaher also bought Keithley Instruments 2010, merging many of its operations and products with Tektronix. Dorine Gurney, a product marketing manager in RF Test at Tek, said her company tests the physical layer on wireless communications chips. Tek addresses Bluetooth, P25 (digital radio communications), and Wi-Fi testing with its products, along with wireless and RF testing for the Internet of Things and other applications. Fig. 2: Wireless tester from Tek. Tektronix offers two kinds of packages – a general-purpose package, or a more vertical package for specific standard measurements, like Bluetooth, or P25 emergency communications. Tek hasn’t decided yet whether the Internet of Things is the right investment, either, for the company. “We’re still kind of on the edge of it,” Gurney said. The market is “fragmented” and lacking standards, making it difficult to commit resources to that area, she added. The company is working with Audi on self-driving car technology, dealing with “the latency of protocols” in automotive electronics, she noted. And it is supporting “new flavors” in Bluetooth and Wi-Fi, the Bluetooth 5 standard and IEEE 802.11ax in particular, Gurney said. Tek is also interested in LoRa, Sigfox, and LoWPAN. “All products have to go through regulatory testing,” Gurney noted. There is a lot going on in wireless communications these days—perhaps too much. In many ways, the wireless market is looking like the Wild West of protocols and standards. New markets, new requirements, and pressure to utilize bandwidth more efficiently and with lower power, all are driving the development of new protocols and approaches to communications. Now the question is which companies will play in which segments, and how quickly they will reap returns from those choices. Just making investments in some of these protocols is no guarantee of a healthy ROI because this entire segment is in flux, and likely will continue to be for the foreseeable future. Which technology will win in 5G world? Technology is improving, but so is awareness about the need for security. Increasing analog content, more complexity and silos are making test much more difficult.